International Association Of Independent Journalists Inc. :: View topic - IAIJ Finally Gets A Newspaper Box! IAIJ Finally Gets A Newspaper Box! 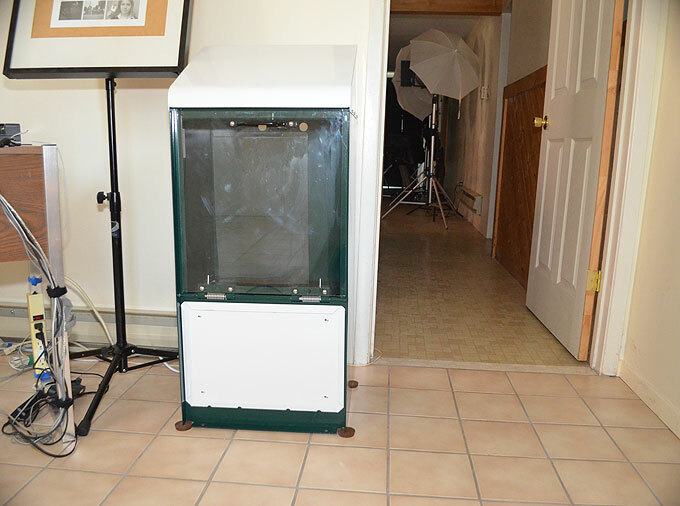 Posted: Thu Jun 30, 2016 11:25 am Post subject: IAIJ Finally Gets A Newspaper Box! Sometimes it is not the big scores that matter in an organization, sometimes it is the small ones. 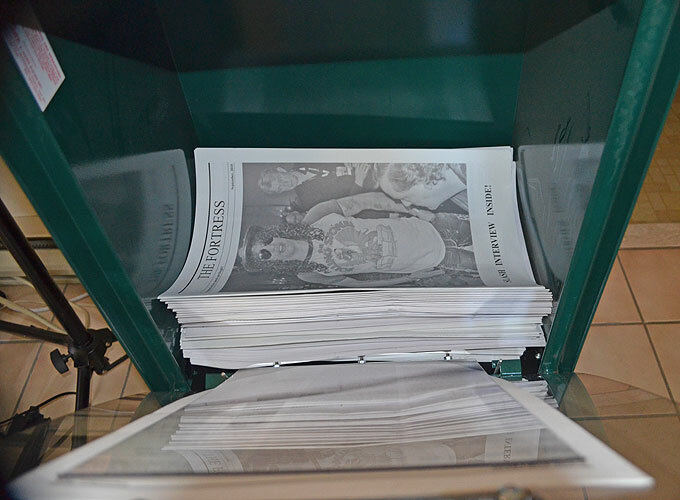 Back in April of 2004 when we printed the first issue of The Fortress we had to use whatever means of newspaper distribution we could. That meant plopping stacks of newspaper on wire racks used for the newspapers and so on. Everywhere we went there was a rack or a newspaper box dedicated to some local newspaper or even college newspapers. 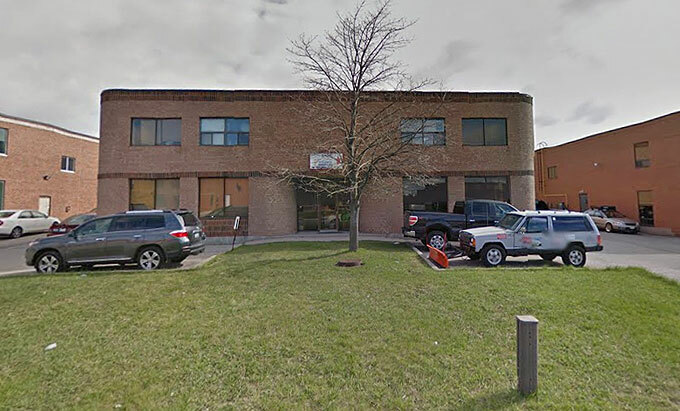 I promised my gang at IAIJ that we would soon have a dedicated place for our little newspaper. I figured maybe we would find some abandoned rack or box and simply use that. But all I could find was this one rack in a dumpster that was not too badly rusted. The fact is we wanted the display in the reception area for those that visited and wanted a newspaper and they would get it there. So the rack went in there but it was a poor substitute for the real thing. And then we forgot about the whole thing as newspaper boxes were on the way out due to the internet. 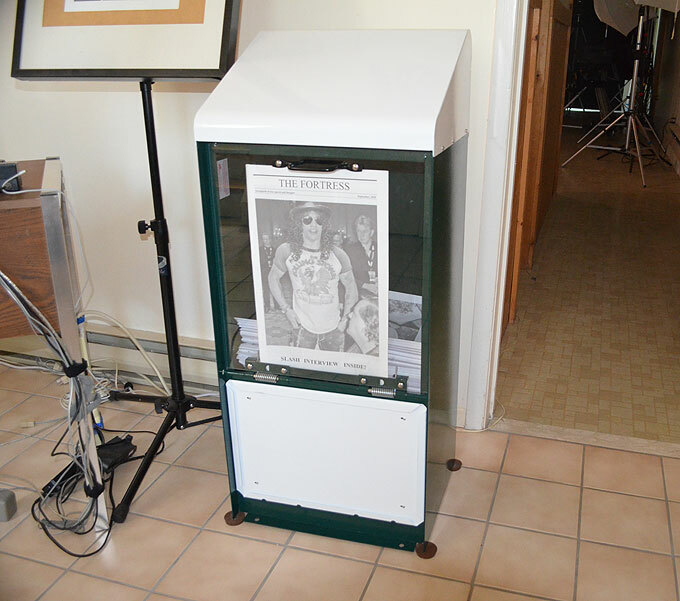 So I don’t know why after twelve years of printing The Fortress I would suddenly have that urge to get a proper newspaper box again, but the urge was there and the notion that I should follow through and keep my promise. In 2016 newspaper boxes are almost extinct. The New York Times, for example, has all of 39 left in the U.S.A. and the others just keep them in service until they fall apart. So finding one was going to be daunting. To make matters worse, ours was going in the reception so we could not have some old rusting newspaper box a thousand dogs had pissed on smelling up the office. It had to be new, and therein lays the adventure. The warehouse where picked up the newspaper box from! The newspaper box in my car and on our way to the office! Nobody and I repeat nobody, seemed to have new newspaper boxes to sell. 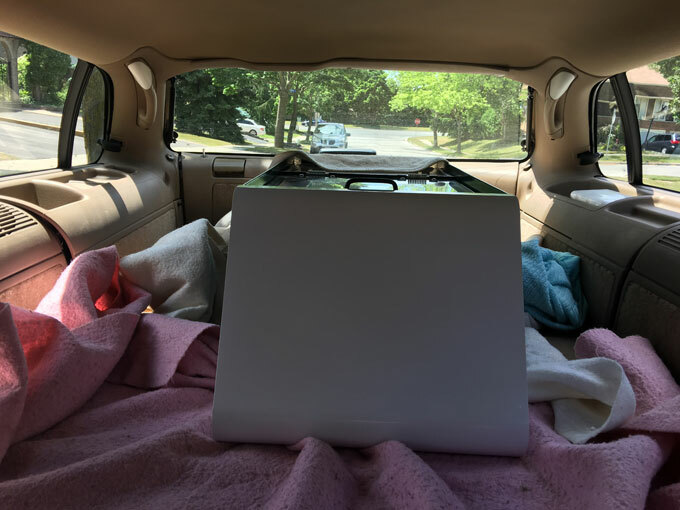 In the Toronto area where IAIJ offices reside, I found one small company that sold newspaper boxes and so I drove down and crossed my fingers. This was some small family owned company and we took a look in the back and sure enough there was an army of old Toronto Sun boxes that you had to pay to open the box. I could not buy one of those he said but he has these green tabloid sized new boxes I could have. The problem with these is that they were new but had some foreign ethnic newspaper branded on the top of the box. He said I could have one of these for 230 dollars and he would take the parts with the name off the box and send it to the painters to be repainted. Sold! 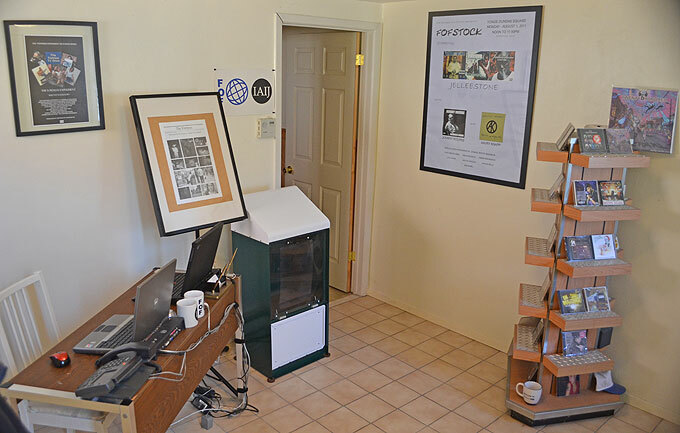 Here is the reception area with the newspaper box in place! It seemed to take forever to get the box finished but I finally got the call from the receptionist that the box was ready and I could pick it up tomorrow in the morning. And that was it, a new newspaper box standing there in the front of the office waiting for me to take it home! The front view of the box. It even has hoes in the back to chain it to a post or street lamp! 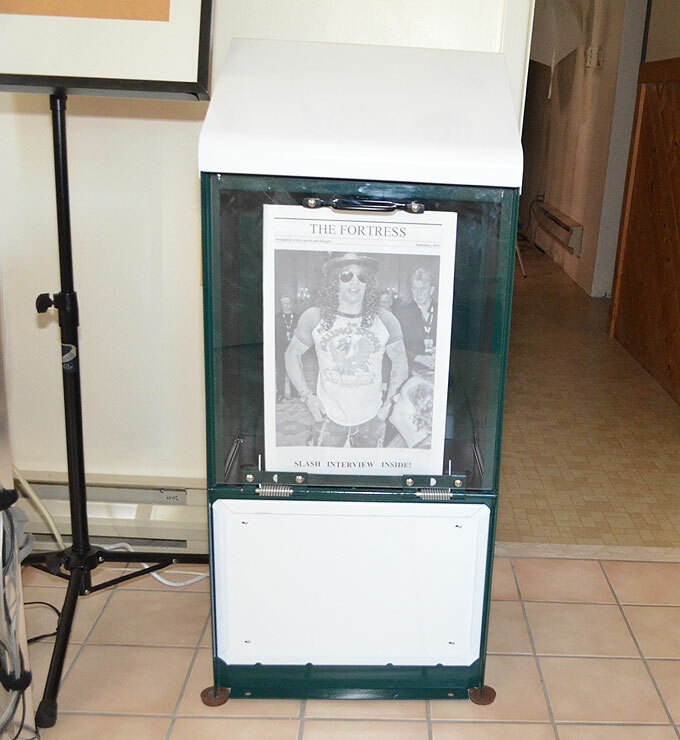 The newspaper box with our newspaper prominently displayed! The box was new but shopworn a bit from dragging it around the warehouse. Nothing on the surface but underneath the box so I just applied a liberal amount of wax to the underside of the base so no rust would possibly leach onto the floor of the reception area (there was no rust but I don’t want to take the chance of any forming). The box was also dusty sitting in a warehouse for years. But all in all it was new and looked good. It also had an advertising placard holder under the door and I figured I might just put an ad for the TV series we took part in currently being shopped now. But in the end I think we will put a placard that announces that The Fortress can be picked up here! Open the door and there is the stack of newspapers! A final view of the newspaper box! We currently have adopted a magazine format for The Fortress, so I wanted a real newsprint paper to go in there first so I fished out a back issue of the newspaper, and used that thick issue we had with the interview with Slash from Guns N' Roses. That fits in there perfectly. And there it was, finally a newspaper box for The Fortress!